This entry was posted on December 6, 2015 by admin. We live in an increasingly Globalized society where exchange of goods and services is easy, affordable and fast. About 90% of the global trade is happening through the sea. Currently, the number of merchant vessels producing above 100 gigatons of CO2 emissions amounts to 104.000 worldwide. 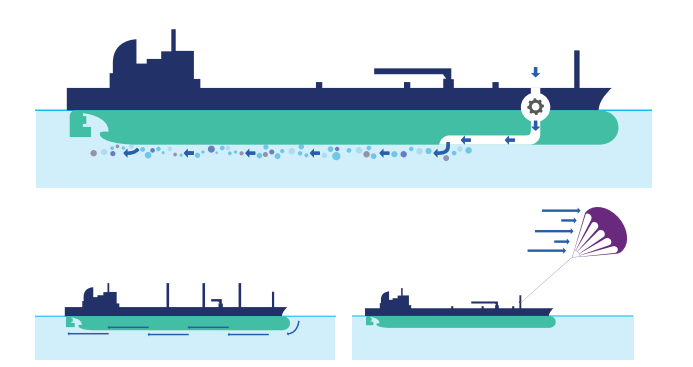 As global demand continues to increase, the number of merchant vessels will grow proportionally and – with that – CO2 emissions are expected to quadruple by 2050. To counter the social and environmental risks emerging from this trend, regulators throughout the world are taking initiatives to reduce CO2 emissions in the maritime industry. As 2015 comes to an end, we explore 9 areas marking 2015 as a green year in the shipping industry. To reduce emissions as well as support energy efficiency, regulators deployed 4 policies that include financial incentives, emission trading, emission reporting mechanisms, and energy emission standards. Currently, the International Maritime Organization (IMO) and the European Union are the most prominent regulators in the shipping sector. The IMO is a United Nations-backed organization that has the responsibility to develop and maintain the regulatory framework for the shipping industry. Routinely, the IMO enacts regulations on both non-GHG (GreenHouse Gas) and GHG emissions. The two new policies set by the IMO designed to help overcome GHG emissions are the Energy Efficiency Design Index (EEDI) and the Ship Energy Efficiency Management Plan (SEEMP). Both of these mechanisms fall under an Emissions’ Standard or an Energy Efficiency category, which are the first GHG mandatory regulations for the maritime industry. These regulations are applicable to ships above 400 tons. While the SEEMP allows ship owners to measure the existing ship’s fuel efficiency and monitor all the effects of changes in operation, the EEDI sets the minimum energy efficiency standard for the new ships. The EEDI allows ship builders and designers to make use of the solutions available to comply with the regulations. Based on the EEDI, carbon reduction level for the initial phase of 2015 - 2019 are set by 10% and it will be further tightened every 5 years. The EEDI is not newly introduced, in fact it was introduced in 2011, but from this year it became mandatory. The EU follows the IMO standards for the non-GHG emissions. When it comes to GHG emission, the European Union has set certain targets as well as discussed numerous policy development mechanisms. in 2013 the EU has set the ambitious target to minimize GHG emissions by 20% in 2020. It also aims to reduce shipping emissions by 40-50% in 2050. 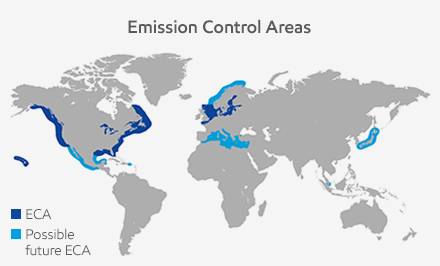 To achieve those goals, the EU supports the implementation of emission trading schemes in the maritime industry. Other previous initiatives by the EU include obligating shipowners to count their CO2 emission. It also announced that it is considering the adoption of systems to monitor, report, and verify fuel-based emissions. In fact, the EU believes that the monitoring, verification and reporting are the initial – and crucial – steps towards the effective emission trading systems implementation. With this policy mechanism, ship operators need to report and monitor their CO2 emissions and fuel consumption, the data will be verified by a 3rd party. The initiative was approved earlier this year and came into force on july 1st. The COP21 discussions held on the 30th of November in Paris have resulted in the Sustainable Shipping Initiative (SSI) asking for new measures whithin the shipping industry, in order to work towards the global carbon reduction target of the UNFCCC’s (United Nations Framework Convention on Climate Change). The Sustainable Shipping Initiative urges the shipping industry to support and encourage the IMO, and act to accomplish the progressive frameworks needed that will, ultimately, offer the right strategy that will allow the shipping industry to effectively and confidently play its role in achieving the UNFCCC’s global carbon reduction targets. According to the 3rd GHG IMO research commissioned by the Sustainable Shipping Initiative and performed by the university, College London, the IMO regulatory framework to handle carbon emissions is insufficient to fulfill the 2ºC target. Climate change is the main issue when it comes to global trade and the future of the shipping industry. The SSI believes it is not socially, environmentally or commercially sustainable for the shipping industry to continue to pursue its business ventures as a huge carbon emissions’ responsible. By recognizing the climate change as a business risk, what follows is full cooperation and contribution to meet this common global objective, as far as carbon emissions go. The SSI’s members also include reputed companies from the shipping industry. Some of the members include: Cargill, IMC, AkzoNobel, ABN AMRO, Bunge, Gearbulk, Nomura Shipbuilding, U-Ming Marine Transport, Lloyd’s, and Wartsila. The study from the UCL Energy Institute released by the SSI follows the 2015’s Smith et al. paper presentation at the IMO MEPC 68, stating that targets for the shipping industry’s CO2 emissions need to reflect cuts that match the 2ºC target, currently the emissions of the maritime industry fall short when it comes to the possibility of meeting that target. SSI’s CEO, Alastair Fishbacher, said that the challenges faced by the shipping industry in the area of carbon emissions are very clear, furthermore, he added that it is unacceptable for the industry to continue to raise their global emissions share and not taking all the necessary measures to align their actions with the global reduction targets. The International Chamber of Shipping (ICS) is a main international trade association for shipowners, it is concerned with all operational, legal and regulatory issues, and employment affairs related to the industry. The ICS members are comprised of national shipowners’ associations that include all trades and sectors from 36 countries, covering more than 80% of the international merchant fleet. The ICS was propelled to take action thanks to a couple of tragic events surroundin shipowners: From approximately 2014 to 2015, nearly 5.000 people perished while attempting to cross the Mediterranean from the North. In April, 2015, the EU Government was challenged by the loss of 800 lives when fishing boat capsized while approaching the merchant’s ship. In December, 2015, the World focused on the United Nations’ Climate Change Conference in Paris. The ICS explained a CO2 emissions reduction of 10% between 2007 and 2012. As a result, the ICS is confident that the shipping industry will follow its current positive trajectory. Dispite the good news, it is important to note that shipping issues are, one again, dominating the international media headlines. The EU invited the international shipping industry to reduce CO2 emissions, the industry considered responsible for being the largest source of emissions. On the 23rd of April, 2015, the 28 EU member states’ leaders held their emergency summit on the Mediterranean crisis. Coastal states have Search and Rescue obligations to comply with the International Maritime Law. In response to some guidance requests, the Paris Memorandum Of Understanding (MOU) that includes Russia, Canada and the EU state members, provided guidance on Port State Control (PSC) enforcement even before the implementation date. PSC enforcement will take place outside the Emission Control Areas. The Paris MOU confirmed that, unless there are clear grounds to suspect of non-compliance, an inspection will be confined to checking delivery notes instead of the usual fuel sampling. The European Commission is developing supplementary inspection procedures that include the specific targets applied by the EU member states, with ships being subjected to the sampling. According to the 3rd IMO GHG study, published in 2014, international shipping decreased its total emissions by 10% despite the improvement in maritime trade. The world’s total CO2 emission proportion for which the shipping industry is responsible was 2.2% in the year of 2012, compared with the 2.8% recorded 5 years earlier. Nonetheless, shipping continues to be an unavoidable servant of the world trade; therefore, it is expected to rise as the population grows. In the future, the economic benefits of fuel consumption reduction will drive further decrease of CO2 emissions. Additionally, the most significant carbon dioxide reduction measures are being pursued aggressively through operational and technical actions, such as, a more efficient ship, speed management, propeller designs and some basic measures such as adjusting the trim of the ship that can be optimized for increased fuel efficiency with the help of modern technology. Together, Global Shipping and Aviation make 5% of the global carbon dioxide emissions. By 2050, this rate is expected to increase 10% to 32%. However, these sectors provide the most cost-effective reductions nowadays, especially via enhanced fuel efficiency (about 27%). However, while the domestic shipping and aviation industries are included in the emission inventories and National policies, international shipping and aviation that produce major emissions are, unfortunately, not. Some Nations attending the conference in Paris have the task of fulfilling the commitment made at the 2009 Copenhagen Conference to offer $100 Billion/year for green climate funding by the year of 2020. Throughout 2015, ICS members lobbied for stronger environmental measures. Even governments required guarantees that the shipping industry will not be treated differently due to its impact on the economy. 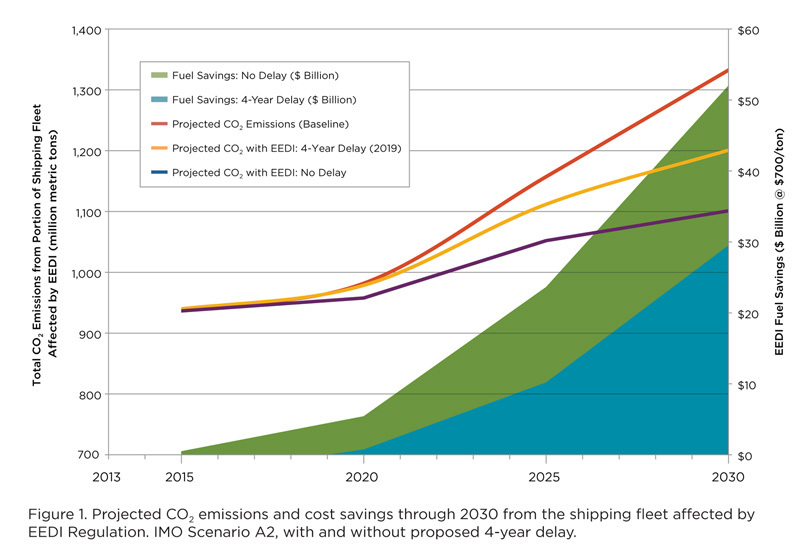 Meanwhile, the IMO forum revealed the meaningful reductions of CO2 emissions generated from international shipping. Voluntary initiatives have emerged to the point of anticipating the future ECAs. In Singapore, a voluntary initiative was set by a shipping company aiming to reduce emissions, and now Singapore Port’s authorities now provide financial incentives for companies that choose to use reduction technologies or low-sulphur fuel. Even Maersk (Global Trade Group) contributed during this Singapore initiative. 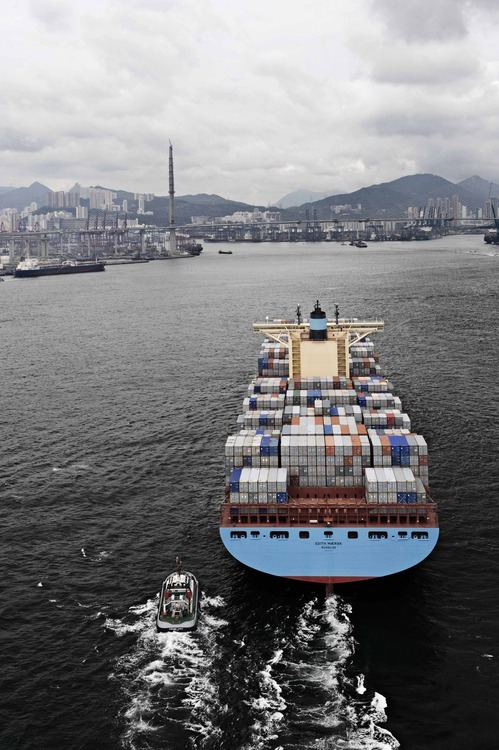 In Hong Kong, Maersk together with eighteen shipping companies participated in a voluntary agreement to use fuel limited to a 0.5% sulphur content. The Government also supported the Hong Kong initiative by providing a 50% reduction in specific fees to the ships at berth using low-sulphur fuel. Hong Kong’s authorities are reconsidering rules and regulations to enforce low sulphur fuel use. The Government has stated that they will submit the proposal after discussions with the shipping sector. If Hong Kong implements all the regulations, it becomes the 1st port in Asia where the minimum sulphur fuel usage is required by law. The above table shows Maersk’s strong performance, which is followed by Kawasaki Kisen Kaisha, Mitsui OSK, Neptune Orient lines, Nippon Yusen KK, and Orient Overseas. 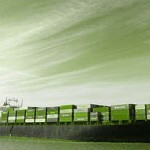 There are plenty of methods available to help shipping companies with their task of reducing CO2 emissions and costs. Maersk is a great example of such methods, such as route optimization, speed reduction, and an efficient use of the turbo charges. In line with that, Pacific Basin said that it will reduce its CO2 emissions via improved fuel consumption, operating practices and hydrodynamics.